Let me start with a little information for you trivia buffs: Rhode Island is geographically the smallest state in the Union. It has the eighth-lowest population in the country, yet it is ranked the second most densely populated state, behind New Jersey. “The Ocean State” was one of the original 13 colonies, and was the last colony to ratify the United States Constitution. Its long history is also riddled with legends of ghosts and vampires! But the declining economic situation in Rhode Island today isn’t the work of some mischievous apparition. It is a very frightening reality, brought about by the actions of mere mortals. Projected budget shortfall (FY 2012-2013) – $ 395 million. Let’s be honest: if your family finances looked this bad, Dave Ramsey would have a stroke! Needless to say, Rhode Island has a huge mess to sort out before it can compete on the national stage and attract people (and hopefully potential employers) to the state. Over $2 trillion is moving between the states. It is moving from states with high tax burdens to states with considerably lower ones. Right now Rhode Island is in no position to benefit from this trend. Quite the opposite. 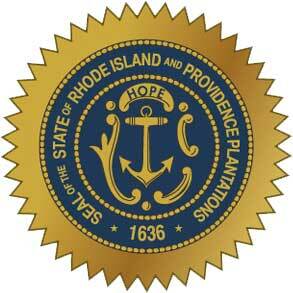 Today Rhode Island is grappling with huge underfunded public sector pension obligations. This is in addition to operating debts and increasing social entitlements. The only way out for them is to take radical cost-containment measures. Like Governor Scott Walker in Wisconsin, the state started with the public sector labor unions. Last spring, Rhode Island, and its capital city Providence, enacted groundbreaking pension reforms. The main focus of the reforms was to reduce cost-of-living adjustments (COLA). The majority of city retirees receive a 3% annual COLA. But increases for police and firefighters who retired in the late 1980s and early 1990s were 5% to 6%each year. The new legislation not only eliminates the 5-6% COLA, but suspends all cost-of-living increases for 10 years and caps the increases at 3% from then on. The government is filled with great procrastinators, trying desperately not to upset a constituency and jeopardize their re-election. But history shows that lingering problems in this economy will only get worse, and the remedies more severe. The state of Rhode Island is now beginning to make the tough, and often unpopular, choices in order to get its fiscal house in order. Hopefully in the future, friendly ghosts won’t be the only sightings — a business-friendly Rhode Island will be, too.